People would have been shocked today to hear of yet another scandal involving our beloved banks*. Apparently they’ve now been caught fixing foreign exchange rates, and fines totalling £2bn are being handed out to all the usual suspects including HSBC, Barclays, Royal Bank of Scotland (being owned by the taxpayer doesn’t seem to inhibit their criminal activity), plus UBS of Switzerland and America’s J P Morgan and Citibank. We’ve become used to hearing these tales of financial malpractice, but what was particularly galling in this case was the fact that the rate-fixing was going on until October last year. ie 5 years after the crash of 2008, and even after the previous LIBOR fixing scandal involving the exact same banks. In other words, these people have no intention of changing their behaviour no matter what happens around them. Of course criminal prosecutions might change their behaviour, but as usual, although the banks have been fined, no individuals have been held criminally accountable for what in everyone else’s eyes is blatant fraud. However, as shocking as all this is, far more insidious was the announcement earlier this week that the Labour Party has received £600,000 worth of free advice from PwC (Price Waterhouse Coopers) the accountancy firm, to help formulate its tax policy*. Now, why would PwC want to give free advice to the Labour Party? Ah yes, that’ll be because PwC makes a lot of money advising businesses on how to avoid tax, and that job will be much easier for them if they get to help write the legislation which they can then advise businesses how to avoid. Absolutely disgraceful, and Labour’s justification for it that PwC are experts in the field holds no water whatsoever. PwC, like all the big accountancy firms, are a threat to the very fabric of our society, as they are at the heart of the system which undermines government revenue collection, and so forces Austerity and poverty on millions of ordinary people. To have them help formulate tax legislation is simply putting the fox in the charge of the chicken coop. Just imagine if the government wanted to formulate new legislation on paedophiles, and put Gary Glitter in charge of the inquiry. And then justified it by saying Gary Glitter was chosen because he’s an expert in paedophilia! There would be justifiable outrage at such nonsensical logic, and yet the government does this all the time with financial legislation, completely undermining our democratic processes. Whether it’s through companies framing legislation like this, or the so-called ‘revolving doors’, where individuals pass effortlessly between Whitehall and the corporate world, the tentacles of business are firmly entwined in our legislative processes, ensuring we now live in world where those with money control all the levers of power. We need change. The Tory Party, as the party of business, are of course beyond hope in this area, but with the Labour Party now acting in exactly the same way it should be absolutely clear, if it wasn’t before, that they offer no meaningful alternative either. The only hope for getting a government which represents the interests of ordinary people is to sweep both these parties into the dustbin, and start afresh with a completely new breed of politician, driven by a desire to help other people rather than just to look after the interests of themselves and their cronies. 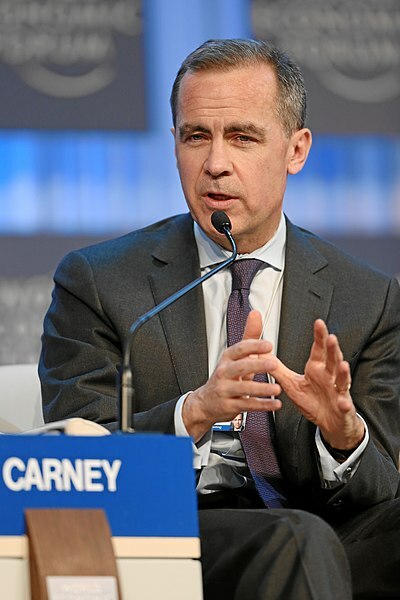 Those of us opposed to the mantra of ‘The Market’ which is forever espoused by devotees of Free Market Capitalism, were pleasantly surprised when the Governor of the Bank of England, Mark Carney, spoke out last week against ‘Free Market Fundamentalism’. He was talking at a conference entitled ‘Inclusive Capitalism’ where he stated that if bankers didn’t give up the “heads-I-win-tails-you-lose” way of doing business, then their industry would collapse*. That someone in such a high position in the City of London should utter such words was really quite extraordinary, and a sign that some at least at the heart of our Free Market system are starting to wake up to its flaws. Many of us are campaigning to build a system and society that provides social and economic justice for all, as well as caring for the planet we live on. The far left Socialist view of tightly planned, highly regulated, state run economies has largely been discredited after the collective failure of Soviet Russia and the old Eastern Bloc. However, in proving that Capitalism was the superior system, we’ve now swung completely the other way, in favour of private ownership of everything with minimal regulation. This directly led to the financial crisis of 2008, and ever greater levels of inequality, with the already-wealthy able to play the system to increase their riches, while the poor are forced to endure falling living standards under Austerity. In addition the endless pursuit of profit means environmental concerns are constantly left by the wayside, threatening the very eco-system we need to survive. Unfortunately fundamentalist thinking, in whatever area, is very difficult to shake off once entrenched, and that’s what we’re seeing with those people who have so strongly wedded themselves to the ideals of Free Market Capitalism. Even with all the evidence of how broken a system it is, many still cling to its ideology with an almost religious fervour. Capitalism is indeed a powerful, efficient and effective economic system, but in its pure ‘free market’ form it is utterly devoid of ethics, has no concept of social responsibility, places no value on the environment, and it encourages people to pursue short-term monetary reward over long-term social benefit. Therefore if Capitalism is to continue as our economic system of choice, it must be tightly regulated, with safeguards put in place to ensure it operates for the good of all, not just the few. Many of us have known this for quite some time, and perhaps, at last, some of those in power are starting to get it too. As the government claims the economy is heading into a recovery, it seems the fat cats at the top of the heap see this as an opportunity to increase their pay and once again lap-up as much wealth as they can for themselves, regardless of how poor their performance may have been, and regardless of what everyone else might be forced to go through in the name of Austerity. 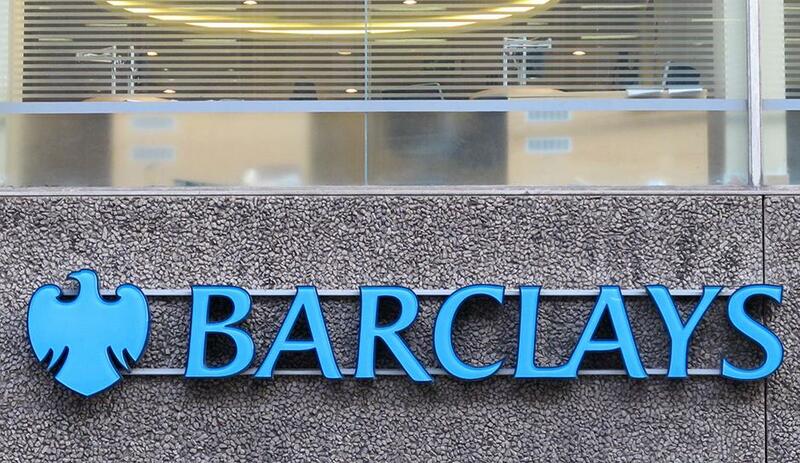 Firstly Barclays*, which has been rocked by several recent scandals including Libor fixing, Foreign Currency fixing, and customer mis-selling, is nevertheless paying out £2.4bn in bonuses to its top staff this year, which means that 481 of its staff now earn over £1m/year each, including 8 on more than £5m/year. It is also introducing special ‘allowances’ of up to £1m for 1000 of its senior staff, in order to circumvent the EU cap on bonuses. All this despite their profits falling 32% last year. Meanwhile over at Lloyds Bank*, which is 33% owned by the taxpayer, they are similarly introducing special ‘allowances’ to avoid the bonus cap, which means 27 of their top staff now take home over £820,000 each, including chief-exec Antonio Horta-Osorio who is getting paid no less than £4.9m this year. 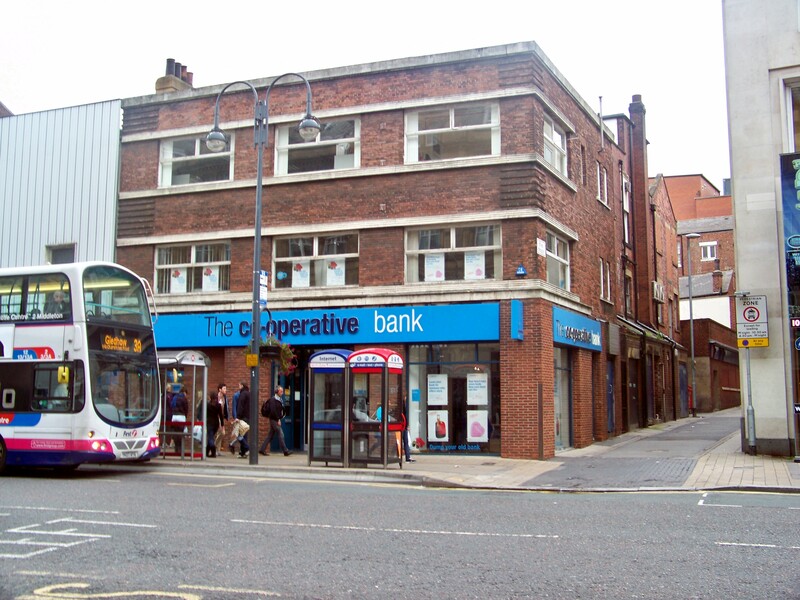 The Co-op: Ethical investors have been left bitterly disappointed by recent events at the bank. Even more outrageously the Co-op*, long beloved by many customers as an ethical alternative to a corrupt banking system, also now seems to be succumbing to greed, and is introducing massive pay increases for its top staff, despite recent scandals and the fact the bank is currently in dire financial straits. Even though they lost around £2bn last year and are being forced to lay-off 5,000 staff, their new chief-exec, Euan Sutherland, is set to receive a £3.66m pay package this year, which is a massive increase on last year when his predecessor, Peter Marks, was paid a ‘mere’ £1.3m. Seven other top execs are to be paid over £½m/year, more than double what they were paid last year. And over at British Petroleum*, which is still recovering from the massive Gulf of Mexico oil spill, Chief Exec Bob Dudley saw his pay triple last year to £5.2m, along with similarly huge increases for several other top execs. As is so familiar now, these corporations all justify their massive pay increases with arguments about ‘market rates’ and ‘paying for talent’, never mind that ‘market rates’ never seem to apply to the rest of society where ordinary people are forced to suffer Austerity, and never mind that these people get their huge pay packets whether they’re talented or not. It’s all a big con, with fat cats lapping-up the wealth and the rest of society footing the bill. Free-market theories can only ever create an increasingly unequal and unfair society, and will continue doing so until people decide they’ve finally had enough, and get rid of our corrupt economic and political system. For more on the fundamental flaws of ‘free market’ economics click here. And now taxpayer-owned Royal Bank of Scotland, despite astronomical losses last year of £8.2bn, has announced it will nonetheless still be paying out £576m in bonuses to its top staff. This despite requests from many senior government figures to show restraint. In both the above cases the banks justified their action with the argument that in a market economy they have to pay ‘market rates’ in order to get the best people. Never mind that ‘market rates’ don’t seem to apply to the rest of the workforce who are still being asked to undergo Austerity, and no care at all for the 13 million people in this country living in poverty, half a million of whom were forced to visit foodbanks last year. Any economic system which can create such vast inequalities between rich and poor is a broken system, which any decent person would try to change, not justify or defend. For more on how our free-market system inevitably leads to constantly increasing executive pay, and an ever-widening gulf between rich and poor, click here. Yesterday Barclays Bank published its results and unashamedly demonstrated that the City bonus culture is back in full swing. Never mind the fact that profits have fallen by 32%, never mind the fact that over 10,000 people are going to be laid off because of commercial problems – no less than £2.4bn (a 10% increase) is still going to be paid out in bonuses to their top bankers. When questioned about this their chief exec, Antony Jenkins, resorted to the old free-market capitalist mantra of ‘market rates’. It’s a shame market rates only ever seem to go up for top earners , while for broader society wages stagnate and living standards go down. These big corporates really are just money-making machines for their top staff, which the rest of us have to finance. Many people believe that the owners – the shareholders – are also coining it in, but in reality they are getting fleeced too. The £2.4bn that is being paid in bonuses to staff is almost triple the £859m that is being paid in dividends to shareholders. To put this rip-off culture into even starker contrast, in 2009* (the latest year for which complete figures are available), of the £11.6bn profit made by Barclays, it paid a mere £113m in tax (a rate of just 1%); £734 in dividends to its shareholders (a lot of whom are pension funds); but a thumping £2.5bn in bonuses to its own staff. It’s daylight robbery and we’re all getting mugged. Question is: how much longer can it go on for?